Hello, we translated three new articles. The first one Ammu-Nation is. If you want to read it, click here or find it in the left menu! If you want to get something new about the PDA, read this article. And if you want to read some intresting stuff about the game, read this one. Thanks to Potvora and Alix for translation and proof-reading! 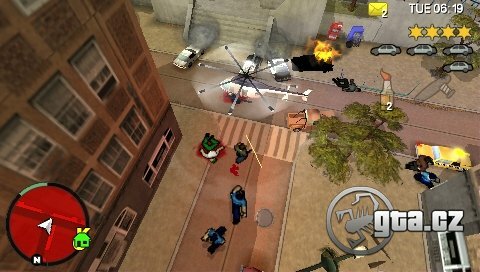 When you visit App Store, you can download Chinatown Wars Lite version, that was created by Rockstar and Apple Inc.
Chinatown Wars Lite is a demo version. It contains 3 missions for Kenny. This demo has 144MB. Hello, ENGLISH version of TLAD modul is now officially OPEN. Click to flag or picture to get there :-) Thank to our great proof-reader Alix and to our productive translator Potvora. A new article about The Guardian LionsDLC. Click here to read more. New article - Achievements - Read more here.